This instant-on, dimmable light provides impressively bright light while still reducing your energy bill. 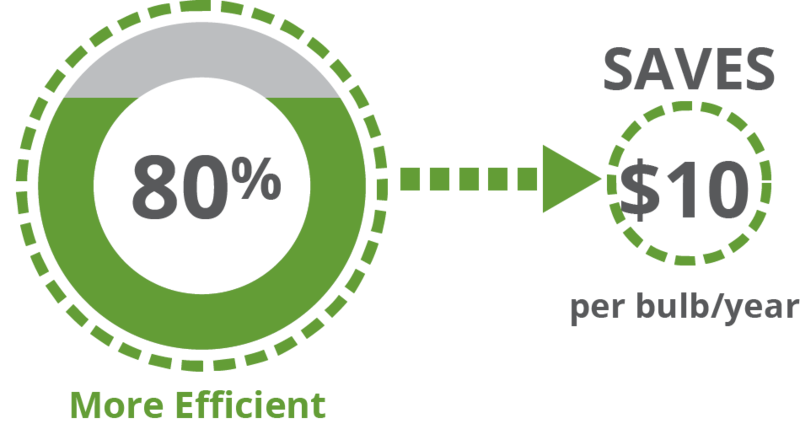 Thanks to smart engineering, Simply Conserve®’s durable LED delivers long-term performance and uses only a fraction of the energy that an incandescent would. Save energy and money while enjoying a warm, natural-feeling light at whatever brightness you prefer. 25,000-hour life. 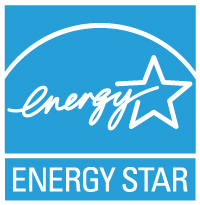 ENERGY STAR® certified for quality. This bulb is 80% more efficient than standard incandescent bulbs, saving you about $10 per bulb, per year. Lumens measure how much light you are getting from a bulb. More lumens means it's a brighter light; fewer lumens means it's a dimmer light. warm bright light perfect for most rooms. Some applications for this bulb include lamps, decorative fixtures, ceiling lights, chandeliers, totally enclosed fixtures, enclosed outdoor fixtures and damp locations. The Manufacturer guarantees to the original purchaser or recipient of this lamp that it is free from defects in material and workmanship for five years from the date of purchase. Warranty is limited to repair or replacement of the lamp. Lamps being returned must included proof of purchase.